WINNIPEG, MB – Imperial Properties announced today that it has added a new Winnipeg rental property to its growing management portfolio. The property, Bag Factory Lofts at 311 Alexander Avenue, is located in Winnipeg's historic Exchange District, and provides an ideal residence for young urban professionals and university students. Bag Factory Lofts offers residents a chic and modern living space that is just footsteps away from the pubs, clubs, restaurants and shopping of its bustling Winnipeg neighbourhood. Located only two blocks from Red River College's Princess Street Campus, and within walking distance of public transportation, the rental property provides easy access to downtown businesses and the University of Winnipeg. The six-story property was developed within a fully refurbished and renovated 19th century warehouse, and features 88 fully upgraded units and amenities, while maintaining the building's original character and architectural elements. 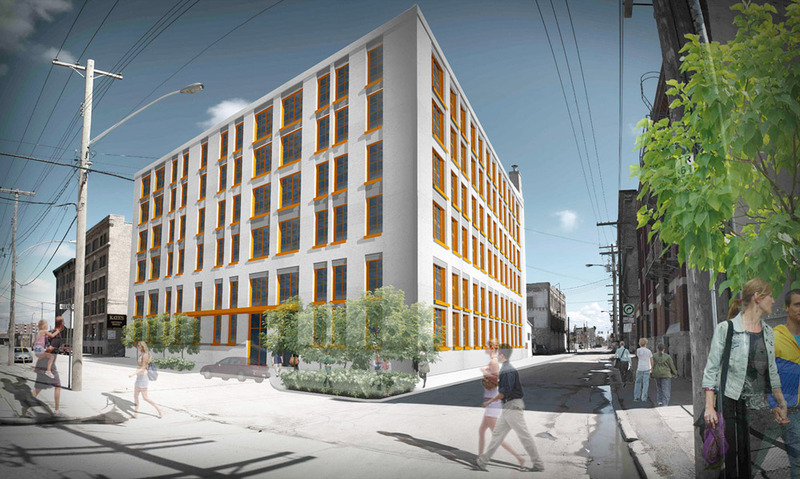 "We are pleased to introduce Bag Factory Lofts at 311 Alexander Avenue to our expanding portfolio of rental properties," said Adrian Schulz, ACCI, president and CEO of Imperial Properties. "Bag Factory Lofts offers a uniquely modern living experience that is perfect for the contemporary urban dweller. Whether residents are young professionals looking to work and play in the heart of Winnipeg or university students attending one of the location's nearby campuses, Bag Factory Lofts provides an unmatchable metropolitan living experience." Imperial Properties is currently accepting applications for the property's available one- and two-bedroom units, with move-ins starting this November. Bag Factory Lofts features an extensive list of modern amenities and apartment features, including a fitness facility, parking spaces, on-site laundry, stainless steel appliances, elevators, new windows and sound-dampening concrete construction. Units range from approximately 450 to 750 square feet, and all suites feature new kitchens, some with large islands. "Bag Factory Lofts at 311 Alexander Avenue is an important addition to the diverse and developing management portfolio of Imperial Properties," said Schulz. "As a company that is dedicated to being at the forefront of property management, we are always seeking new and exclusive properties that provide residents with an unparalleled quality of living. Bag Factory Lofts continues this mission by delivering a convenient and uniquely industrial living space to young couples, professionals and students who are looking to take advantage of everything the Exchange District has to offer."